Shanghainese Minced Meat Dumplings aka Xiao Long Bao (RM4.70/USD1.60 for 3 pcs) – Not many places in Ipoh serve XLB, and Qi Yuan does a passable version; with a proportionately filled dumpling with moist and firm minced meat and savoury soup that’s not scalding hot. And ladies & gentlemen …. I AM BACK !!! To imagine the longing for good old Ipoh food; to experience the slower-paced lifestyle … where cars travel at 30km/hour and yet don’t get honked at. No double parking even in the most congested of business centres (else risk being awarded with a piece of beef jerky aka “Ngau Yoke Kon”). No rushing to anywhere and everywhere as rarely roads got flooded, and travelling in the car for more than an hour seems almost unheard of. Unless you’re going all out to Tanjung Tualang for some freshwater prawns, or Sitiawan for good old toddy + cheap seafood combination, then that ONE hour is well worth the travelling time. And no, one hour spent on Federal Highway to get from PJ to Cheras is NOT a conducive move, in comparison!!! 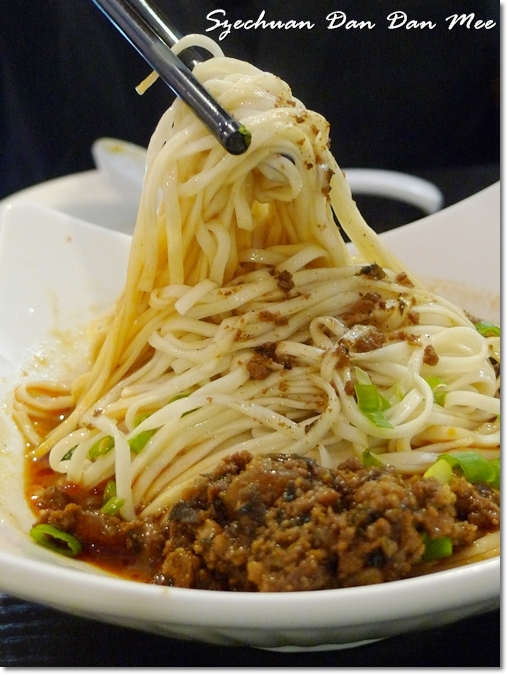 Szechuan Famous Dan Dan Meen (RM5.00/USD1.60) – Slightly spicy from the addition of chili oil, the savoury mix of minced pork and finely-chopped wood ear fungus added much dimension to their own-produced noodles. Probably not enough to be shared amongst two, I reckon you should order the various noodle dishes to accompany the many dim sum fares. Now let’s neglect that crash diet for one week. Let’s indulge in some of the BEST street food Ipoh has to offer. And not forgetting the abundance of newer eateries sprouting up here and there; rendering this Motormouth restless (helpless?) in seeking for them. But no fear, for today …. 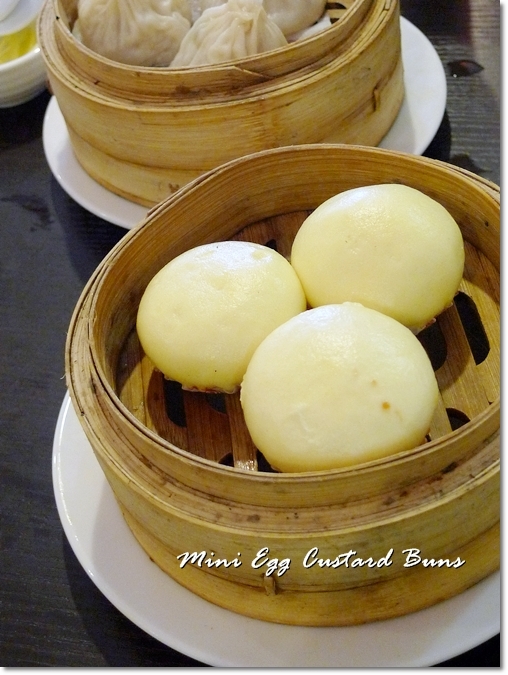 let’s read about a new dim sum restaurant in Greentown Business Centre (next to Yeong Wai Greentown, same row with Maria’s Cafe and Laksamana Cheng Ho) …….. Together with his assistant (I guess can be named as sous chef in this case? ), and his younger brother who’s back from New Zealand, they started up this fully air-conditioned restaurant at a rather strategic location; right at the heart of Ipoh city; Greentown Business Centre. Sour & Spicy Minced Meat Dumplings (RM3.80/USD1.20) – Delicious, these dumplings looked abysmal soaked in the oily chili condiment, but the sauce ain’t fiery and the piquant taste laced with a sour note (from the vinegar) was very pleasant to the palate. Only about one month in operation, and Qi Yuan has been steadily attracting the crowd. Especially the lunch crowd on weekdays as if you’re from Ipoh, you would have known that there are probably 1001 eateries around the vicinity; and almost every one of those is packed during peak hours. So what makes Qi Yuan special, in comparison to the other more established dim sum restaurants in Ipoh? They offer Cantonese dim sum, AND Szechuan specialties, like various meat and chives dumplings; some of them in chili oil, as well as light snacks such as Szechuan Pan Fried Sesame Buns, Szechuan Seafood Siew Mai, and a very moreish Sour & Spicy Minced Meat Dumplings. You could have downed all four pieces of the dumplings before you know it, as the robust flavour of the chili oil combined perfectly with the pork dumplings; and a plus point was that the chili oil was not mind-blowing/tongue-numbing spicy. 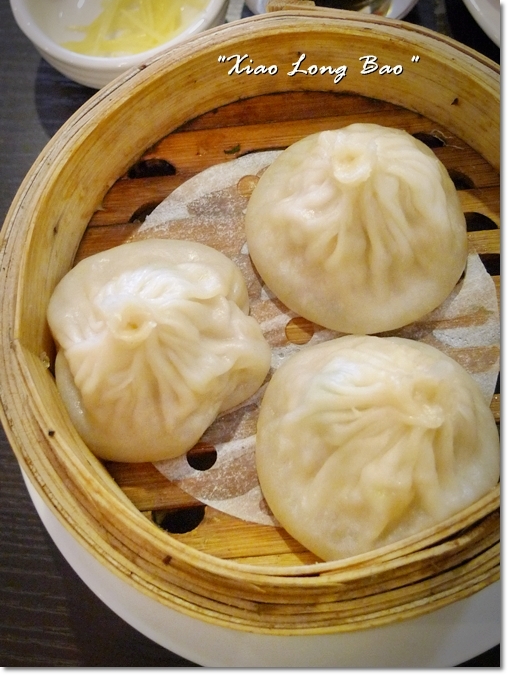 The Xiao Long Bao (Shanghai Minced Meat Dumplings filled with soup) though tasted wonderfully packed with flavours; and the skin being neither too thick nor absolutely translucent; suffered from the fate of being unable to sustain the load within …. breaking off at the bottom once the dumpling was picked up with a pair of chopstick. So remember to use the spoon and assist in scooping up the dumplings; else risking losing out on the soup which was delicious anyway. Of course, black vinegar and finely-julienned ginger were ever present. The Szechuan Dan Dan Noodles deserves a mention, for this is also one of their signature item on the menu. Of course, aside from this variety, Qi Yuan also serves 9 more varieties of Szechuan-style noodles like Chilled Noodles with Spicy Sauce, Szechuan Knife-Shredded Noodles (should be interesting; as this is probably the only place in Ipoh that serves this), Szechuan Beef Noodles (another hot favourite among the patrons, as I was duly told), etc. Yes, they make their own noodles at Qi Yuan, so you can rest assured on the freshness and authenticity of the noodles. Probably will try the knife-shredded noodles next round, since I have only been watching the preparation process on TV; an interesting martial arts-like session with carving of the block of dough with a special curved knife. Don’t miss out on the Desserts section too. Mango Pudding, Mango with Pomelo Sago and Yam Paste with Coconut Milk (their rendition of Or Nee). The Custard Egg Tarts (lower right picture) came on the house, NOT because he knew I was a blogger but because the egg tarts have sold off … and we were not told until the end of the meal. Save some space for the desserts; as the Mango Pudding and Mango Puree with Pomelo Sago (Yeung Zhi Kam Lou) are great stuff. Priced at RM3.80/USD1.20 each, I would say the mango desserts here are better than Tong Yan Gai‘s at De Garden. 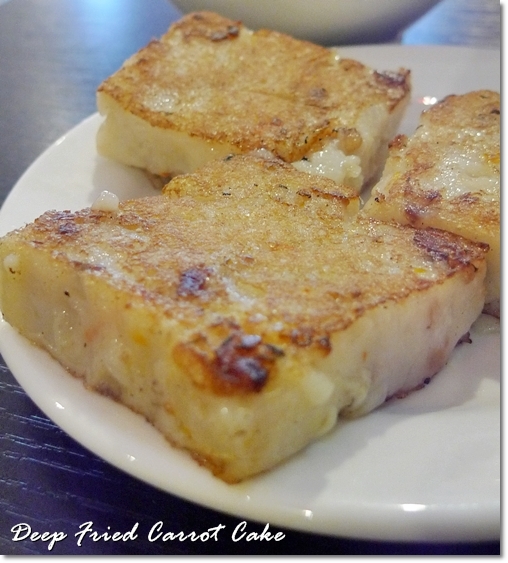 The Or Nee (Teochew style Yam Paste) has been one of my personal favourite desserts and pity that no other restaurants in Ipoh serves this (aside from Teo Chew Restaurant near to Taman Merdeka, but I have not been there … so can’t comment). 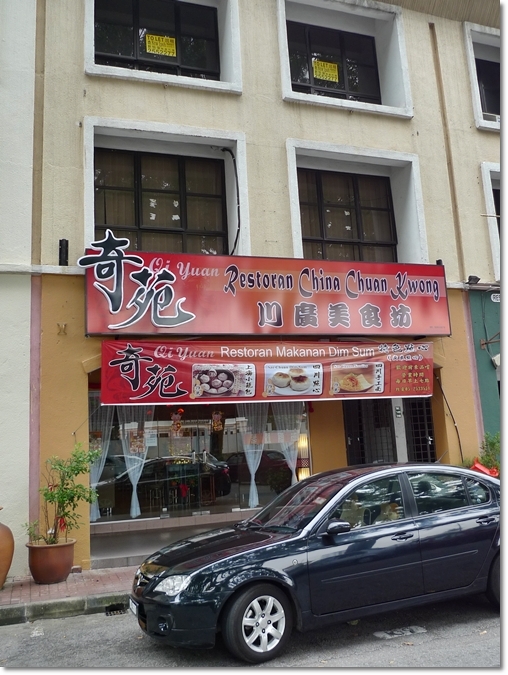 Qi Yuan @ Greentown Business Centre – Also known as Restoran China Chuan Kwong; for some reason. But can’t miss this as situated opposite this is Brewster’s. They will be coming up with four new items after the Chinese New Year, or rather sometime after the first few days of the Lunar calendar. So be prepared for new creations like Crystal Chives Dumplings, etc. Qi Yuan also plans to include value lunch sets to their menu; to cater to the lunch crowd around the area. Menu to come soon. Should be interesting, as eating dim sum and ‘la mian’ for lunch sounds almost unheard of in Ipoh. The meal came to about RM48/USD16 for the three of us. Can’t say this was dirt-cheap, but far from being unreasonable either. Shall be back again for the next round, IF I can manage to squeeze in some time between now and the New Year. Business hours : 7am – 8pm daily. *Qi Yuan will be closed on the 3rd of Feb (First Day of CNY), but will remain opened from 7am – 1.30pm from the 2nd to the 4th day of CNY. Thereafter, business will resume as usual from the 5th day onwards. 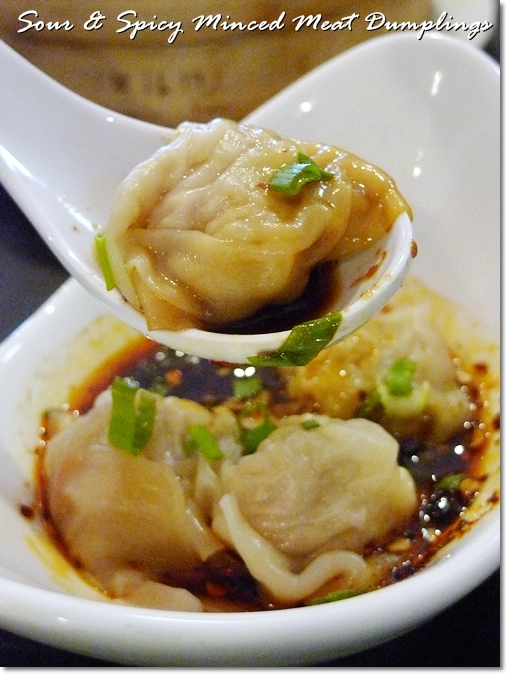 These dim sum look delicious and cheap ! Got to go one day , thanks for sharing or I won’t know there is a good dim sum restaurant down there . Yeah, thanks to Mum who got to know this from a friend of hers. After all, in Ipoh, words spread like wildfire. Especially of NEW places for food. There is also one Taste Good at the corner same row with Pakeeza and opposite Tower Regency Hotel. Looks to be one huge kopitiam but anyone can attest to the taste of the food? I was at Taste Good the other day for brunch and the food there was surprisingly good. Haha … thanks cinafong. You’re from Ipoh too? Yeah!!! Just the same old Ipoh boy of yesteryear’s! this city is a haven to live in. Happy Chinese New Year SimpleGirl and family! What is the name of the dim sum or pao for the last picture, the one with the golden sauce inside? looks really yummy. the mango desserts looks attractive too. love mango as u know it. hope it will taste better than tong yan kai ones. That’s the mini custard buns. 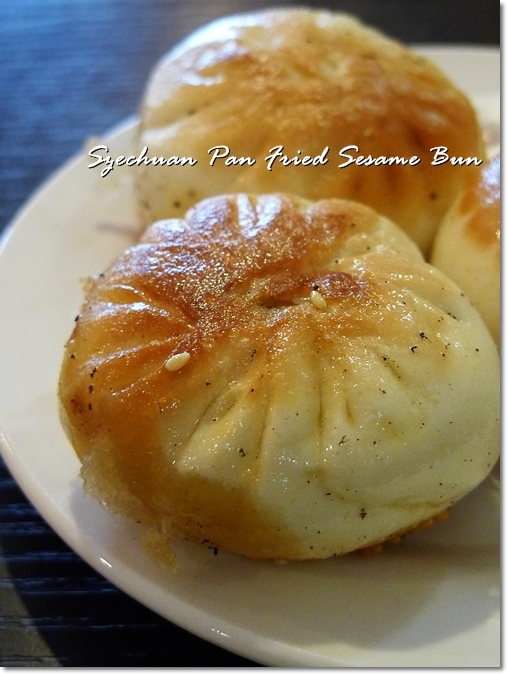 There’s also a version with steamed (white) bun instead, but this “Lao Shar Bao” tasted fabulous with a salty, savoury and sweet fillings within. This looks too good to be true….. I must go and try it……thanks for sharing. You’re welcomed, Ipoh Land Worm. Simple set up with reasonably varied range of dim sum and noodles. Haha … ahem. Hello!? Barely two months there okay? Of course I still miss the street food of Ipoh. Not even close in comparison! thanks for the review. looks delicious! Normally I will go for those “different” item other than the must have har gao siew mai, those above mentioned food by u really suit my taste bud ler…. Not the usual, tried and tested varieties huh? Hehe, I can understand that. Too many har gau and siew mai kinda sien huh? Welcome home! How nice that you’re able to get your leave approved after only being with the new company for less than 2 months. Thanks for introducing this new dim sum place. I’m especially glad that they serve XLB. I’ll be paying this place a visit soon. Could I know what their ordering system is like, i.e., picking out stuff from a trolley, ordering from a menu, etc.? Do you know if takeaway is available? What about their service charge? Oh …. yeah. Coz of the BIG season ma. Most people on leave anyway, aside from the ones from KL. You write down on the order chit provided then hand to the waiter. Only 10% service charge. No gov tax. Wishing you and your family a wonderful and prosperous new year. Kung Hei Fatt Choy! Thanks babe! Same to you and Capt Hook. Come come ….. hehe, dim sum outlets aplenty in Ipoh. GONG HEI FAT CHOI TO YOU AND FAMILY~~~!! Hope u all try out Qi Yuan dim sum. Yeah, this Dragon One is the same as the one in SS2, it seems. Have yet to step into De Garden, since the place is packed during meal times. Visit this Qi Yuan yesterday. Very crowded but still better than the Dim Sum street ones (we passed by and my friends said it looked like pasar malam’s crowd from the outside, and Foh San has a Choy San Yea standing at the door). Service was ok though crowded but they seems to have mixed up a lot of orders/left out a lot of orders (we thought our table were saved until we realised that they really forgot about our XLB and Scallop Gau). Food taste good except that our XLB came still raw . My friend nearly vomit when I told her so, as she popped the whole XLB in her mouth and had chewed for quite some time…. 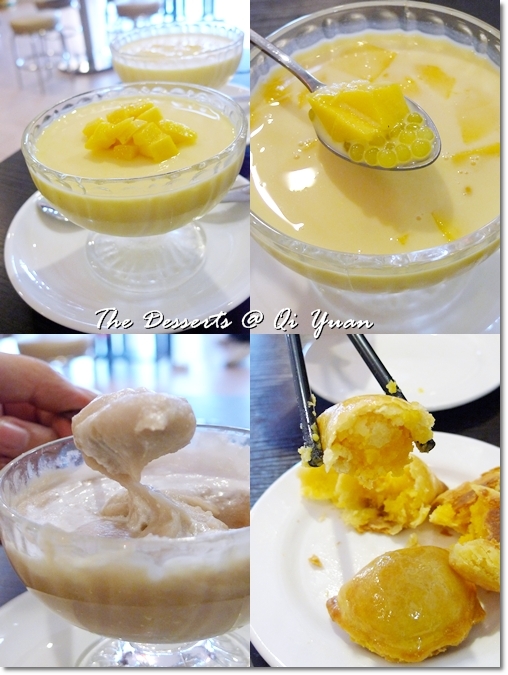 Dessert – Yeong Zhi Kam Lou – I would still prefer the one in Tong Yan Gai as I think this flavour is too artificial, and the Yam Mud is too lard enriched. Their lemon jelly grass is refreshing though. It wasn’t that pricey until we realised that they charged 10% for service charge and another additional 10% for CNY service charge….. maybe we should go after CNY the next time. Oh maybe they were having trouble coping with the crowd? You know what? We tried again to have lunch yesterday, only to be disappointed as we were told they had finished taking the last orders, and no more food was left. They closed at 1.30pm for the first 4 days. Happy Chinese New Year MM, and to everyone else here. Also thanks to MM for doing this great job for everyone…. Thanks Ipoh Land Worm. Yeah… I missed writing about Ipoh food too. i should’ve read ur fine prints in red. i went there on sunday nite wondering how come its closed. hahaha…. hey, but normal business hours until 8pm only? thats abit weird as it does not serve much purpose to cater to a dinner crowd. Yeahloh… maybe for early dinner. 13 hours of non-stop business is taxing lah …. I went there on fourth day of cny for dimsum as the crowd in front of Foh San and Yook Fook Mun is too scary to be even near them. Ming Court was closed. Maybe Qi Yuan is still new that’s why all the mixed up of food and orders. the noodle portion was surprisingly small… i didn’t expect that. no chance to taste the desserts yet as we are too full. even with the chaos their service is still good. 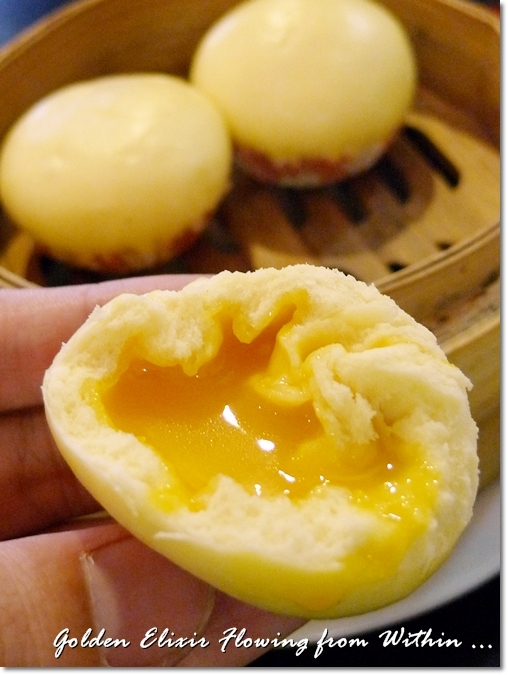 The first dimsum i order is the custard filling bun. does it have salted egg yolk inside? it does taste like it. overall, it’s average. will give them a second chance when it’s not that crowded. Yeah, the custard filling was made from salted egg yolk. Sorry did not write about that, since I was in a half-chaotic mode myself. You know lah, milking every minute dry back in Ipoh!!! I myself could not get a table on the fourth day, since by 1pm or so, all the food was finished. And we ended up at Kon Shong (KS Boat & Grill) further down the road. NOT a good meal though; portion being smaller and price higher than usual. But expected since it was CNY and they had to pay extras to the staff and such. what can i say about this place, quite a disappointment, they said they did not increase their price for CNY but charge extra 10% so called CNY charge on top of the service charge, this is a daylight robbery which i’ve notified the relevant government body. during payment, although i was there physically to check the list in front of the cashier while she keyed into the system, she still managed to charged extra rm23+ for what i did not ordered, had to drive back halfway for this. Thanks Lvin. Did not know about the 10% extra charge, but I’m sure most of the eateries WERE (and maybe still are) charging extras to cover the CNY cost? We were there a day or two before CNY, hence I did not experience the same. The XLB was not marvelous per se; since the skin broke when we picked them up from the basket. But still, passable in my books. cause their price so cheap n the foods so delicious! i like that custard filling bun…it is so yummy!haha!!!! but in CNY it is hard to find a seat…. Overall the food is up to expectation. I will certainly make a point to eat there again during my next trip to Ipoh. Great to know that. Now I’m craving for some good dim sum myself. Service was poor, orders got mixed, manpower was lacking, XLB breaks apart too easily, black vinegar with ginger never appeared. One dumpling dish was totally tasteless. Hor Yip Fan was almost soggy. Carrot cake was too salty and gooey. Chilled noodles were good but not chilled. This place has potential if they can up their standards and keep it on an even keel. Those who enjoyed their repast there were lucky, we did not. Hello There. I discovered your weblog using msn. That is an extremely well written article. I’ll make sure to bookmark it and come back to read extra of your useful information. Thanks for the post. I’ll certainly comeback. Went to look for this restaurant but couldn’t find it. It may not be in operation anymore? This space is filled with all the modern appliances like the mixer, juicer, oven, grinder etc. or how big they are, they never seem large enough to keep everything we own! option to provide an access point on each side of the roof.